Jonathan read Law at Cambridge University and went on to obtain a 2:1 LL.M (Masters) degree in International Law in addition to his law degree. He was called to the Bar by Inner Temple in 1990. 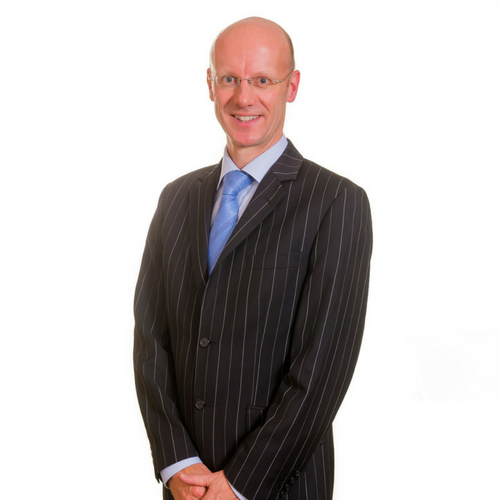 Jonathan practises in all areas of family law and also has extensive experience in personal injury work. He is widely recognised for his approachability and ability to handle a wide variety of clients as well as the strength of his advocacy and the clarity of his advice. Solicitors frequently comment on his calm and reassuring manner which is perfectly suited to nervous clients. Jonathan Thompson has a particular interest in care proceedings and has appeared in complex and lengthy child protection hearings, including those involving child death, serious non-accidental injury, sexual harm, grooming, neglect and serious emotional harm. Jonathan’s experience includes representing NHS trusts in High Court disputes over medical treatment for children, representing CAFCASS Legal in the High Court and civil actions for professional negligence against social workers. Jonathan is instructed by local authorities, parents, Guardians, the Official Solicitor and CAFCASS Legal and is able to view a case from all angles and advise on tactical approach as well as substantive law. Jonathan’s experience also includes cases involving an international element, child witnesses, complex adoption applications, secure accommodation orders, applications for discharge of care or placement orders and for contact with a child in care. Re LC (unreported): Jonathan was instructed to represent a mother whose young daughter was killed by a severe blow to the abdomen whilst in the care of the mother and/or her partner. During the 12-day finding of fact hearing the circuit judge commended Jonathan for the clarity of his submissions in a very difficult case. Case B (unreported): Jonathan recently represented a local authority in adoption proceedings where, following a family agreement, the natural parents handed the baby to his aunt and uncle at birth to be brought up as their son. The aunt and uncle were unable to have children of their own. The circuit judge described Jonathan’s skeleton argument as “extremely helpful” in its analysis of the relevant law and facts. Jonathan’s practice covers both private law children and matrimonial finance work. This breadth can provide clients with the significant advantage of retaining him for both potential areas of dispute following marital or relationship breakdown. Jonathan appears in complex disputes resulting in applications for child arrangements orders, including those involving issues of mental capacity, parental alienation or shared parenting, as well as international and internal relocation cases and more discrete specific issue or prohibited steps order applications. Jonathan has extensive experience in matrimonial finance cases at all levels, including those involving higher net worth clients, very significant assets and pre-nuptial agreements, as well as medium and lower value cases. He has a particular interest in cases concerning those involved in professional sport, including football, cricket and golf, “concluded agreement” cases and those which overlap with the personal injury field. G v G (unreported): Jonathan represented a husband with assets of over £4million in a case involving a pre-nuptial agreement. The marriage was very short and ended when the wife made an allegation of serious sexual violence against the husband. The wife alleged that she had been psychologically harmed to the extent that she was no longer able to work and invited the court to find that the husband’s conduct vitiated the pre-nuptial agreement. Jonathan Thompson is experienced in personal injury work at all levels from higher end multi track to fast track. Jonathan is instructed by both claimants and defendants and is able to view a case from both angles and advise on the best tactical approach as well as substantive law. He is well regarded for his courtroom skills, especially where the cross-examination of expert witnesses is required. Jonathan’s experience covers occupiers’ liability, public liability, employers’ liability and road traffic. Jonathan has a particular interest in cases involving sport, especially golf, football and cricket. P v Bournemouth Borough Council (unreported at this stage): Jonathan was recently instructed to advise and then act in a multi track claim for a claimant who was struck in the eye by a golf ball and suffered a serious eye injury as well as significant psychological damage. Jonathan advised on the instruction of one of the leading national experts in golf-related accidents.